Jimmy & Mikey!. . Wallpaper and background images in the James McAvoy and Michael Fassbender club tagged: james mcavoy michael fassbender. 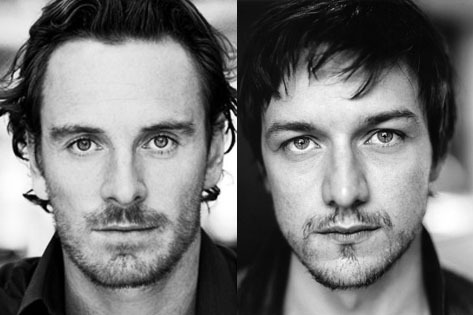 This James McAvoy and Michael Fassbender photo contains chân dung, headshot, and closeup. There might also be bộ đồ làm việc, phù hợp với kinh doanh, and phù hợp với doanh nghiệp.